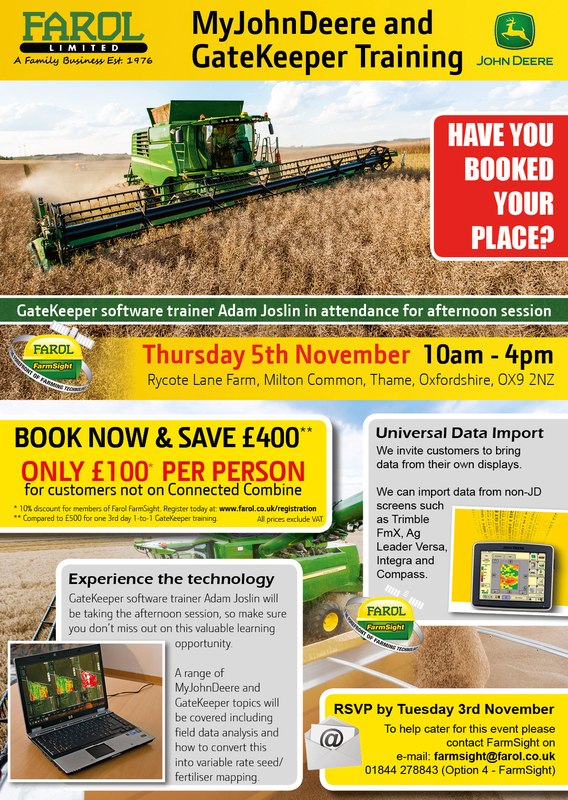 On Thursday 5th November Farol Ltd are holding a day of post harvest MyJohnDeere & GateKeeper training at their new training facility at Milton Common. Also make sure you register for our Farol FarmSight membership to qualify for 10% off the advertised prices. Visit www.farol.co.uk/registration to sign up today!